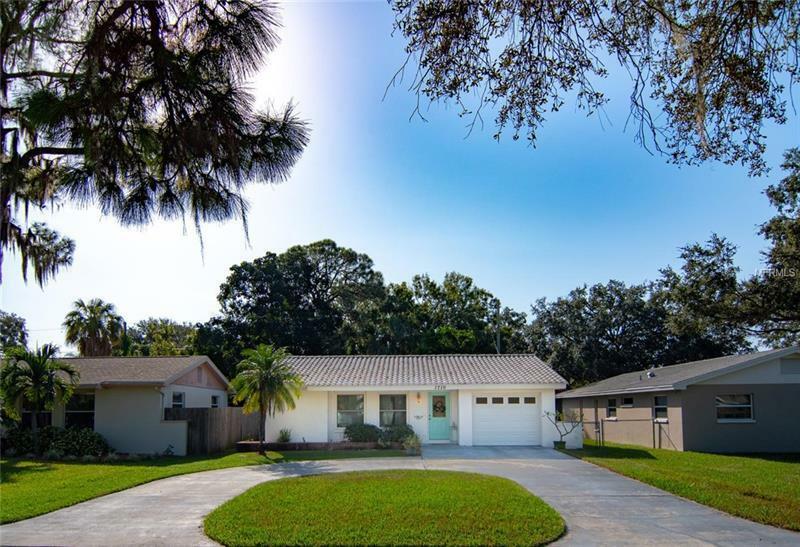 Updated home located in the much sought after neighborhood of Shore Acres in St Petersburg. Located on a great street no through traffic. Pride of ownership shows throughout this house is neat and tidy. Laminate flooring in living spaces. Bathroom has been updated. Large spacious rooms open concept living. Charming screened in patio great for enjoying cool afternoons. Fenced in Backyard private and lush perfect for entertaining bonus shed for storage. Don't wait this one will not last long.